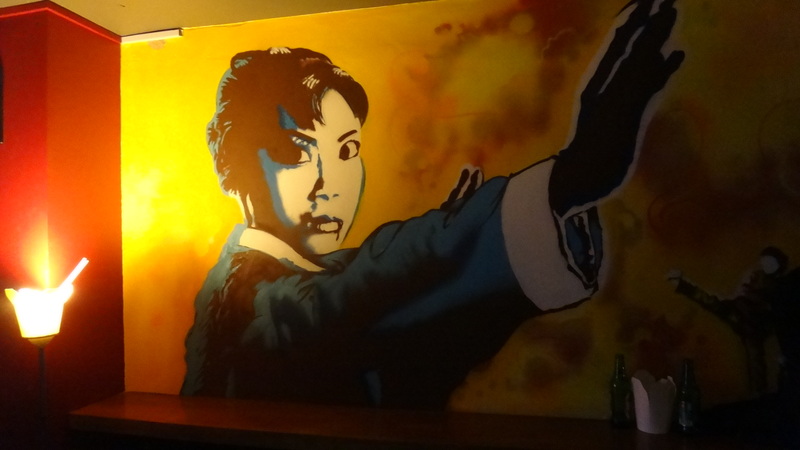 PimpShuei is a basement bar just out past Holborn, tucked away down Mount Pleasant, the best thing about it, and the main reason I really wanted to go: it’s an Asian Action themed bar! 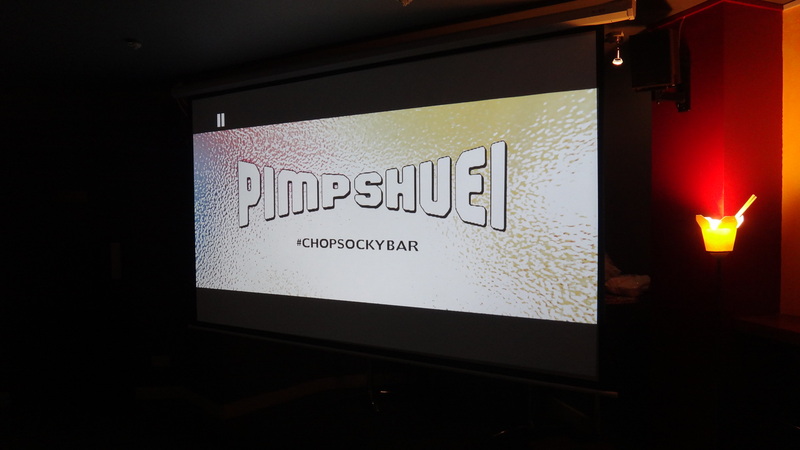 I’d been hearing and seeing great things about PimpShuei since it opened earlier this year and I’d been looking for an excuse to head along and take a look for myself. 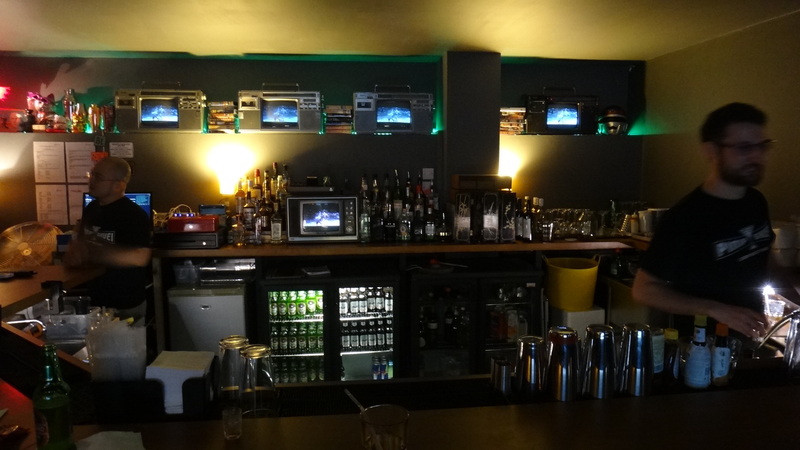 So last night was perfect as they held a dry-run film night to test out their projection equipment and amazing screen. Plus it was being hosted by our good friend, and all round great guy, Hamma Horra. Heading down into the basement you can tell straight away that this is great place, the walls are covered in either: amazing paintings, original posters, or banks of vintage TVs all of which are playing kung fu films. Looking around it’s the authenticity of the place that really struck me straight away, this isn’t someone just taking the cool factor of Asian Cinema and applying it to their bar, this is the real deal. 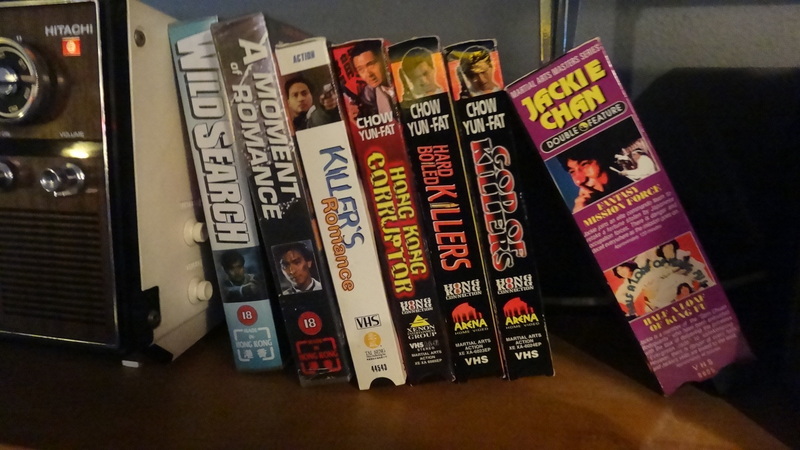 You can tell there’s a deep love for these films running through this place, one that made me feel at home straight away, the place is so well thought out, from the great selection of vintage martial arts VHS tapes that are dotted around the bar, right through to the amazing custom made bar tables each with its own Asian action themed top, this place is a true temple to those incredible films we all love. Now as it was just me heading along, I can’t speak for the quality of the drinks on sale, I’ll have to wait for Evrim to come back with me for some notes on that, but I can say that the bar staff were great and very welcoming and that their Coke is fine. The projection set up they have there is great and we had a fun night watching trailers and other things, all ably hosted by the main man of London underground films: Hamma Horra. 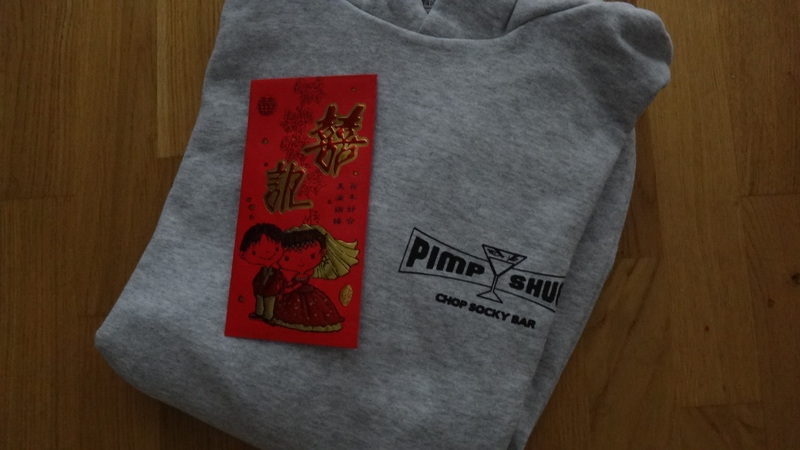 Now one other great thing was the prize draw on the night, and I was lucky enough to win a Pimp Shuei hoody and a bunch of drinks vouchers, which means we’ll be back for sure very soon! 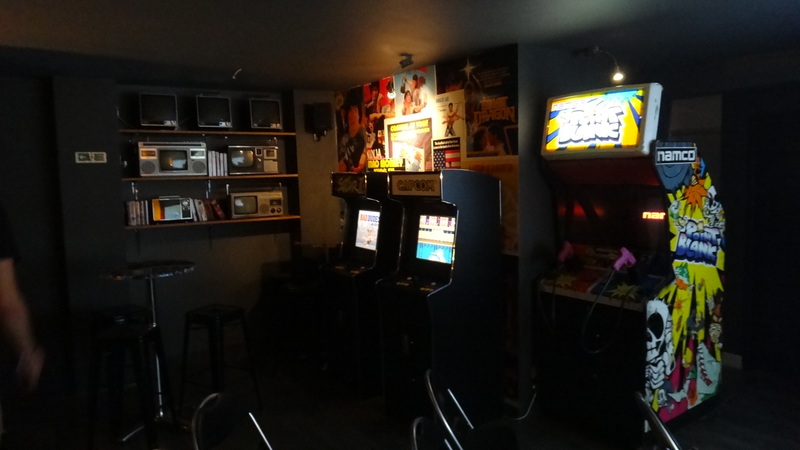 Do head along and check out the place, it’s a great atmosphere and something very original and unique, there’s plans to open up the backroom soon and turn it into a dedicated games arcade, which will be just one more great reason to visit this fantastic new bar.